I've been tasked with setting up an FTP directory for a client of ours. I'm working from a Windows 2008 Server with IIS 7 installed. To create the FTP user directory I've followed this eHow tutorial. Response: 331 Password required for userFTP. Response: 530 User cannot log in, home directory inaccessible. I've double checked the permissions of the user and everything appears to be as it should. If anyone has any advice, I'd be so grateful. It's not clear to me from reading your post and the link you provided as to whether or not you're using user isolation. My suggestion would be to determine whether or not you want to use user isolation or not and then start from scratch. It is the user isolation setting. You will need change it to "do not isolate users, start users in "user name directory" "
I just hit this issue and for anyone googling the error would like to add the solution that worked on Windows Server 2012 IIS 8.0. It was very simple in the end you have to create a LocalUser folder in the FTP root you specified when creating the FTP site. Then create your username folders under this folder. Another cause of this error can be the use of FTP IPv4 Address and Domain Restrictions. 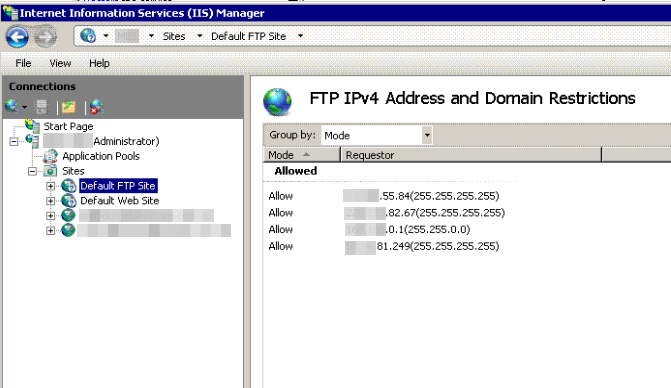 If your IIS FTP Site, or one of its parents including the Default site, is using IPv4 Address Restrictions then you'll need to ensure that your IP address is allowed. Authorization rules. Make sure to have an Authorization rule that allows the user or anonymous access. 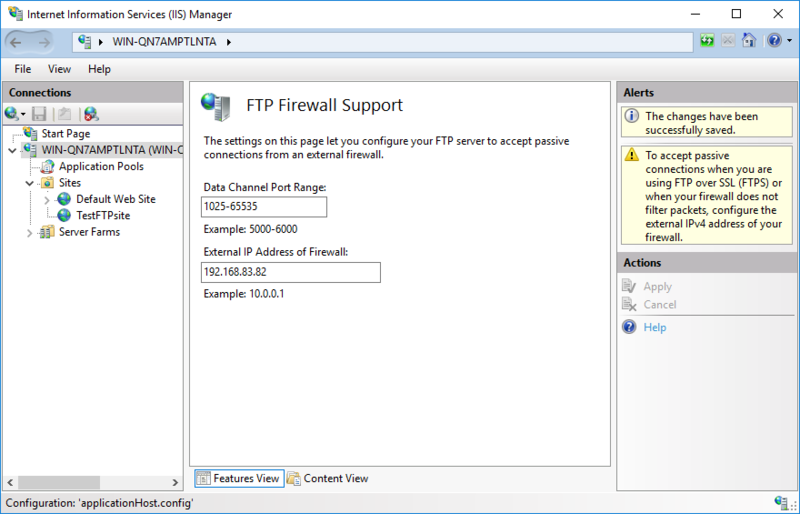 Check “IIS > FTP site > FTP Authorization Rules” page to allow or deny access for certain or all users. NTFS permissions. The FTP users (local or domain users) should have permissions on the physical folder. Right click the folder and go to Properties. In the Security tab, make sure the user has required permissions. You can ignore Shared tab. It is not used for FTP access. Locked account. If you local or domain account is locked or expired, you may end up seeing “User cannot log in” error. Check local user properties or Active Directory user settings to make sure the user account is active. Other permission issues. The user account may not have “Log on locally” or “Allow only anonymous connections security” rights. I know you said you double checked the permissions, but I wanted to verify that you'd checked the file- level permissions as well as the share permissions? You will need to verify the Physical Path of the FTP. Following is the steps to check. It must be correct or you will find home directory inaccessible. Not the answer you're looking for? Browse other questions tagged windows-server-2008 ftp user-management or ask your own question.